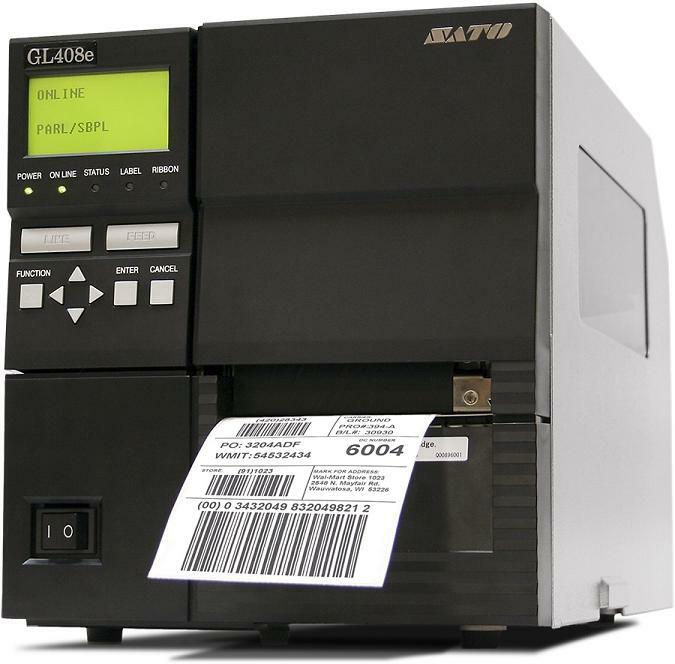 The NEW GL4e Series is SATO’s most significant release of printing technology to date. Versatility and value are the cornerstones of the GL4e Series with features that surpass the competition. Only the GL4e Series offers a field-upgradeable UHF RFID option; an industry-leading printer management utility SATOnet CONNECT™; standard tri-port communication protocols, competitive emulations and much more. GL408e DT/TT 4.09" .87" - 5.04" 203 10 IPS 10.43" 1.5" to 4"
GL412e DT/TT 4.09" .87" - 5.04" 305 10 IPS 10.43" 1.5" to 4"